Two girders are simply stronger than one, making HY Heavy duty double girder 100ton foundry overhead crane for sale the ideal solution for the area coverage handling of heavy loads up to 74/20t. Like all HY factory cranes, these units are available with a number of main girder connection versions to best suit new or existing buildings and the best in functionality, versatility and convenience. 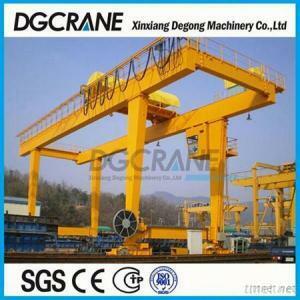 HY Heavy duty double girder 100ton foundry overhead crane for sale feature welded box beams. All the sections used for main girders and end girders are computer-optimized for high performance and low weight, benefits that pay in terms of strength and cost efficiency.